Legal luminary and leader of the Concerned Igbo Leaders of Thought, Prof. Ben Nwabueze (SAN), has faulted President Muhammadu Buhari’s continued delay in appointing ministers into his cabinet. The elder statesman described the president’s refusal to appoint ministers over 80 days after assuming office, as a reflection of his military personality. He said the same military mentality was displayed when former President Olusegun Obasanjo also failed to appoint his ministers on time. President Buhari, who took over on May 29, 2015 has said he won’t announce his ministerial nominees’ list until September, which is less than two weeks away, because he was taking his time to systematically clean-up the rot left behind by the former administration of Dr. Goodluck Jonathan. But Prof. Nwabueze begged to disagree as he pointed out that the Nigerian constitution does not allow the president to govern the country for more than two months without ministers. The Senior Advocate of Nigeria, in an article titled, “Constitutionality of President Buhari Ruling Nigeria For More Than Two And Half Months Without a Council Of Ministers: The Concerns of the Igbo Leaders Of Thought”, a copy of which was sent to media houses on Wednesday, said the president was expected to consult “various executive bodies” before taking presidential actions. According to the law professor, it is not likely that anyone other than a retired army general and former head of a military government would ever think of ruling the country for more than two and half months without ministers, knowing full well that the governmental system established for the country by the constitution does not permit him to do that. “And yet, knowing his antecedents and the influence they must have on him, Nigerians elected him as ‘civilian’ President in the March 2015 election. 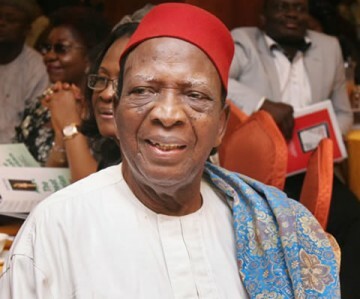 His election cannot but portray Nigerians as incapable of learning from past experience, a people lacking the degree of political maturity and sagacity required for the successful working of constitutional democracy”, Nwabueze added. “Since his inauguration on May 29, 2015, as elected ‘civilian’ President of the Federal Republic of Nigeria, Muhammadu Buhari, a retired army general and former head of the military government, has been ruling the country for more than two and half months without ministers. “The President ruling for more than two and half months without ministers is really incredible, but, incredible as it is, we Nigerians, as a people, ought to have foreseen it from our experience of the dictatorial way former President Obasanjo who, like President Buhari, is a retired army general and former head of the military government, rode roughshod over the constitutional limitations on his powers”, the article read in part.